Traveling in Hawaii presents the opportunity to have a whole host of adventures and see things you never would have in your day-to-day life. Much of this opportunity lies in the hidden habitats under the water. When you go on snorkeling tours or use boat rentals to pioneer your own adventure, you won't see the same salmon and bass you spot in the waters at home. 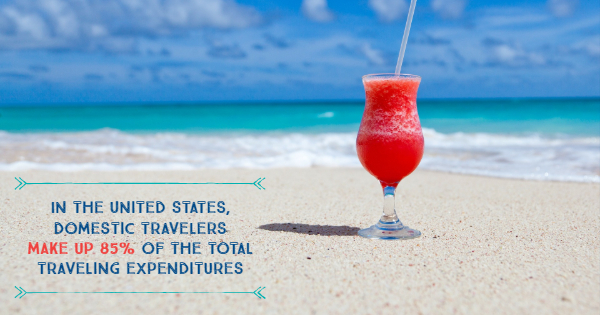 Even if you live in the United States and are one of the domestic travelers who make up 85% of total traveling expenditures in the United States, Hawaii will feel like a completely different country from your mainland state. Prepare for your offshore adventure by learning about the marine wildlife that lives in Kona waters. Blue Marlin: The Blue Marlin is a classic Hawaiian fish. With a blue coloring and a pointed nose reminiscent of a swordfish, you won't have seen anything like the Blue Marlin in your hometown. You may also see the closely related Striped Marlin when you explore the seas on Kona boat rentals. Blue vertical stripes run along this fish's sides to distinguish it from a Blue Marlin and while it is occasionally seen in the Atlantic Ocean, it makes more frequent appearances in the Indian and Pacific Oceans. Mahi Mahi: This fish is frequently associated with Hawaii, as it often appears in the local cuisine. Mahi Mahi, also called Dorado or Dolphin Fish, is also notable for its vibrant colors. Hues of green, blue, and yellow, decorate the sides and fins of this fantastic fish. The hump on its head also separates Mahi Mahi from their fellow sea creatures. Hawaiian Green Sea Turtle: As one of the bigger players in the oceanic world, the sea turtle is an iconic living symbol of the Hawaiian islands. These turtles can weigh up to 400 pounds and have amazing strength. Although these turtles can stay underwater for up to two hours, they will come up to the surface to breathe air. If you see one, be sure to respect its space by admiring it from afar and logging its grandeur in your memory. Spinner Dolphin: While out exploring on boat rentals, you may see a pod of Spinner Dolphins traveling through the ocean. They get their name from their tendency to spin through the waters. No one knows exactly why they spin, but it could be a form of communication, a method to shake off parasites or remoras, or just a way for them to have fun. No matter what wildlife you see while exploring the seas, the experience will certainly stick with you for years to come. Contact Kona Offshore Adventures to book your once-in-a-lifetime experience today.